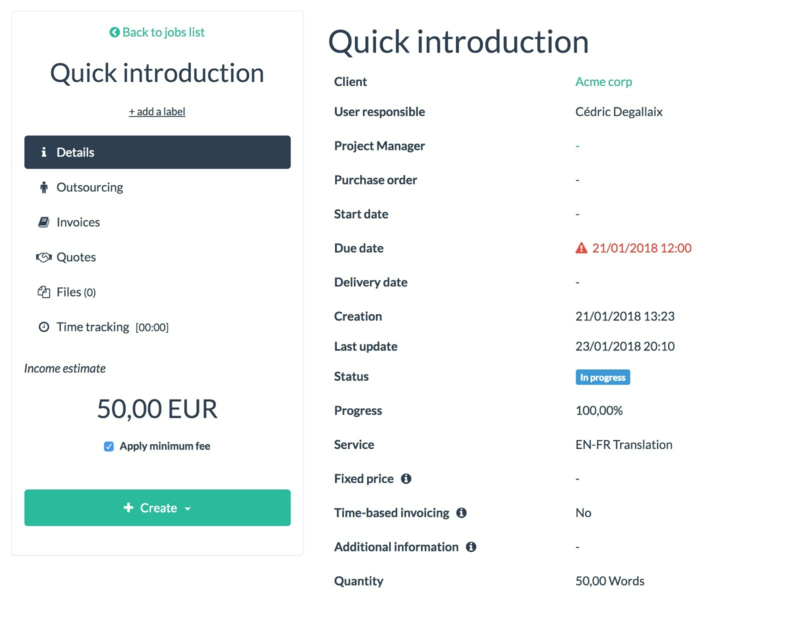 Can I define a minimum fee for a client? 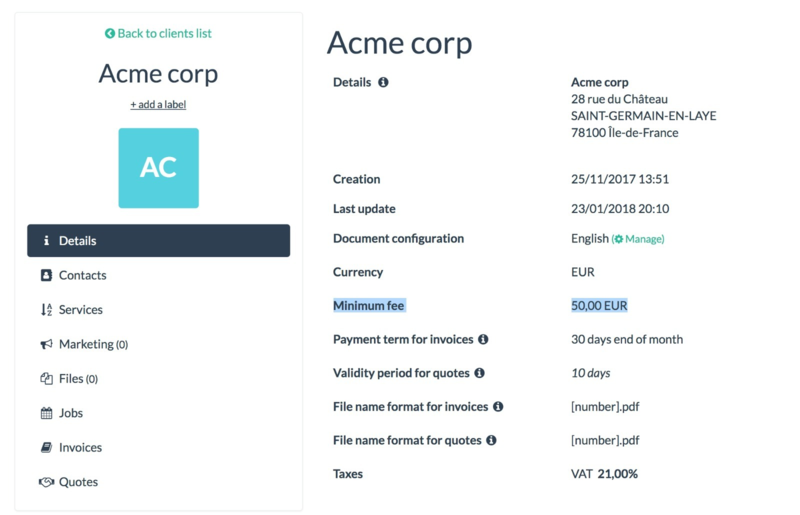 Yes, you can easily define a minimum fee for each one of your clients. In the client's details (People > Clients), there is a 'Minimum fee' field where you can define the minimum fee you would like to apply to this particular client. You can define a different minimum fee for each of your clients if you want. If the estimate of a job is smaller than the minimum fee, the system will automatically apply the minimum fee. If you don't want to apply the minimum fee to this job, you simply have to uncheck the corresponding box, under the estimate. 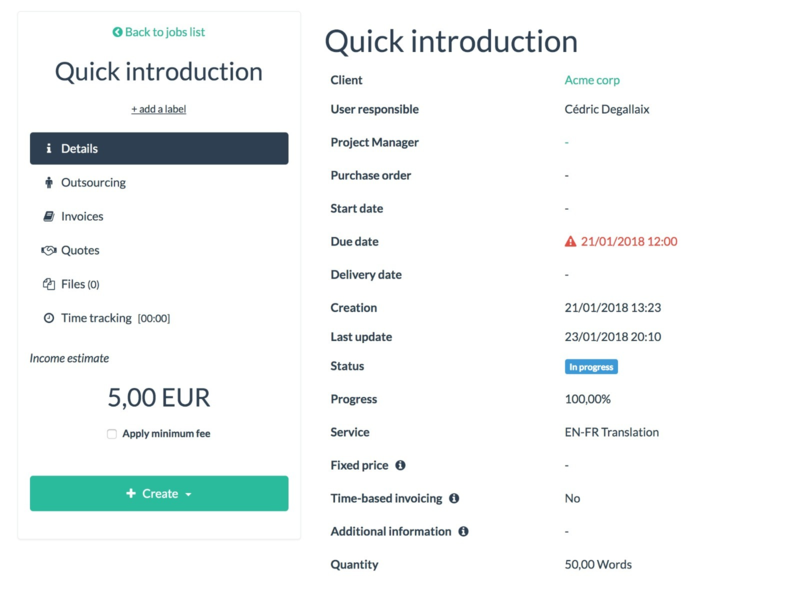 If you specifically defined a fixed price for the job (using the corresponding field in the job), the system will apply this fixed price instead of the minimum fee.